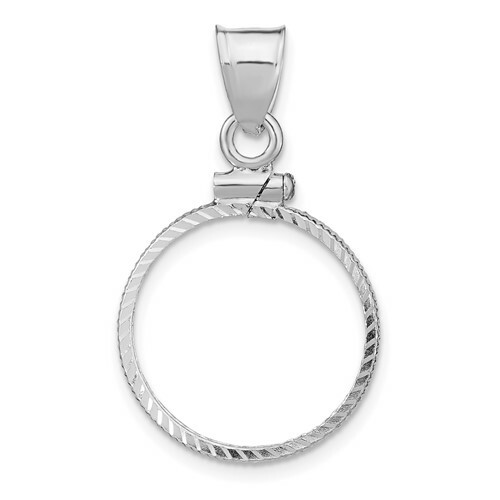 This sterling silver dime coin bezel pendant has a diamond-cut texture and screw-top. Fits dimes only. Weight: 0.8 grams. Made in USA.